Posted By:Unknown | At:12:07 PM Be the first to comment! I don't think this comes as much as a surprise to anyone. 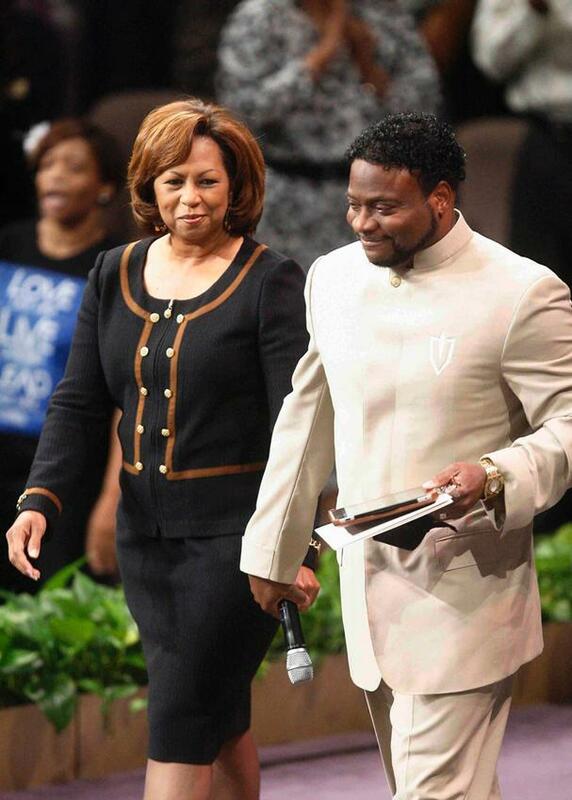 Yesterday, Vanessa Long, the wife of megachurch pastor, Bishop Eddie Long, filed for divorce. She and Bishop Long has three children and they've been married since 1990. After all the lawsuits and accusations, it's a wonder she lasted this long. Atlanta(AJC)- Vanessa Long, the wife of megachurch pastor Bishop Eddie Long, announced Friday she has filed for divorce. After a great deal of deliberation and prayer, I have decided to terminate my marriage to Bishop Eddie L. Long. Accordingly, I authorized my attorneys to file for divorce on December 1, 2011," Vanessa Long said in a statement. Also in Vanessa Long's statement: "It is my sincere hope that this matter can be resolved expeditiously, harmoniously and fairly. I ask that you respect my privacy and that of my family, as my attorneys and I have agreed that we will not try this case in the media, and I do not intend to make any further statements concerning this matter." The couple married in 1990. They have three children together, Edward, Jared and Taylor.